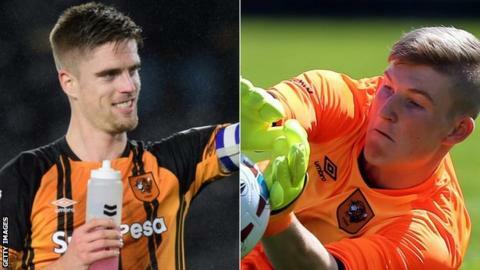 Hull City have extended the contracts of midfielder Markus Henriksen and goalkeeper Will Mannion by 12 months. The Championship side have exercised options in the duo's current deals which will see both players stay at the club until the summer of 2020. Norway international Henriksen, 26, has been made captain this season and has played 84 times for Hull since moving from Dutch side AZ Alkmaar in 2016. Mannion, 20, has yet to play a league game for the Tigers. He joined from AFC Wimbledon in 2016 and is currently on loan at Aldershot Town in the National League, having played once for Plymouth Argyle on an emergency loan spell last season. Mannion's only appearance for the Tigers came in a League Cup tie in August 2017.